Why is falling off a ladder as dangerous as being bitten by a shark? Is it better to build skyscrapers like wobbly jellies or stacks of biscuits? How many atoms would you have to split to power a lightbulb? From Wi-Fi Internet to heat-reflecting windows, science and technology powers our lives. But it still baffles many of us even when we've spent years studying it in school. Recent opinion surveys show that 80-90 percent of us are "interested" or "very interested" in science and acknowledge how important it is. Yet 30-60% of us think it's too specialized or too hard to understand and two thirds of 14 year-olds find it uninspiring. We confuse the "ozone layer" and "climate change", we think nuclear power is more risky than crossing the road and, despite 70% of us thinking that newspapers and TV sensationalize science, 86% of us rely on precisely these unreliable media to keep us "informed". Atoms Under the Floorboards helps put things right by exploring the science of everyday life in an engaging new way. Taking a tour round the house, it picks out the fascinating and surprising scientific explanations behind a variety of very common (and often entertainingly mundane) household phenomena, from gurgling drains and squeaky floorboards to rubbery custard and shiny shoes. 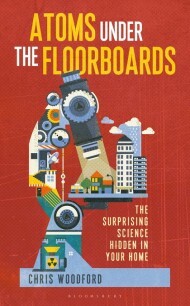 Educational and authoritative, but also engaging and fun, it sheds new light on the science secrets hidden in our homes. "The author’s engaging narrative simplifies even the most complex of scientific phenomena to the point that anyone, from the person who hasn’t been in a science class since high school to the PhD scientist, will be able to gain knowledge and enjoyment out of this book." "Mostly the result is phenomenal. I love the way that Woodford thinks about things we don’t normally consider… and turns them into things that we look at differently and understand in more depth while still genuinely enjoying what’s being covered." "In a mere 300 pages or so, “Atoms Under the Floorboards” provides elegant answers to questions so obvious it’s likely you’ve never thought of them… plenty here to interest those curious about the scientific underpinnings of the modern world." "The author's engaging narrative simplifies even the most complex of scientific phenomena to the point that anyone, from the person who hasn't been in a science class since high school to the PhD scientist, will be able to gain knowledge and enjoyment out of this book." "Mostly the result is phenomenal. I love the way that Woodford thinks about things we don't normally consider... and turns them into things that we look at differently and understand in more depth while still genuinely enjoying what's being covered." "In a mere 300 pages or so, “Atoms Under the Floorboards” provides elegant answers to questions so obvious it’s likely you’ve never thought of them... plenty here to interest those curious about the scientific underpinnings of the modern world." 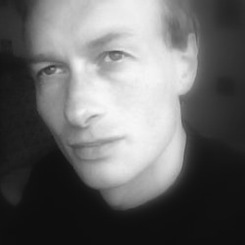 "Chris Woodford’s book stands out, both for its clarity and for the unusual phenomena he explains…. Each short chapter contains gems of lucid, accessible science writing. Students and teachers alike will be captivated not only by the answers to questions about our daily lives, but by the imaginative subject matter Woodford has selected…. so well written that one can happily read it from cover to cover." "The reader is bound to get puzzled at first, then intrigued and ultimately hooked as the book hurtles past theories in physics and biology as well as civil, mechanical, chemical and electrical engineering… Read this book to reawaken your curiosity." "Vastly informative… does explain some astonishing things." "The book that should be given to every high school science teacher as curriculum support… the most accessible and enjoyable tour through the average house and the stuff found inside it… a pleasure to read good science clearly demystified."